Hi Ladies! I hope you're all well and having a great weekend. Mine has been fab - lots of catching up, eating and drinking with my Nanna who was visiting for the weekend and my boyfriend. I think I've actually ate so much that I've warn myself out. An early night and a week of healthy eating is on the cards for me I think. 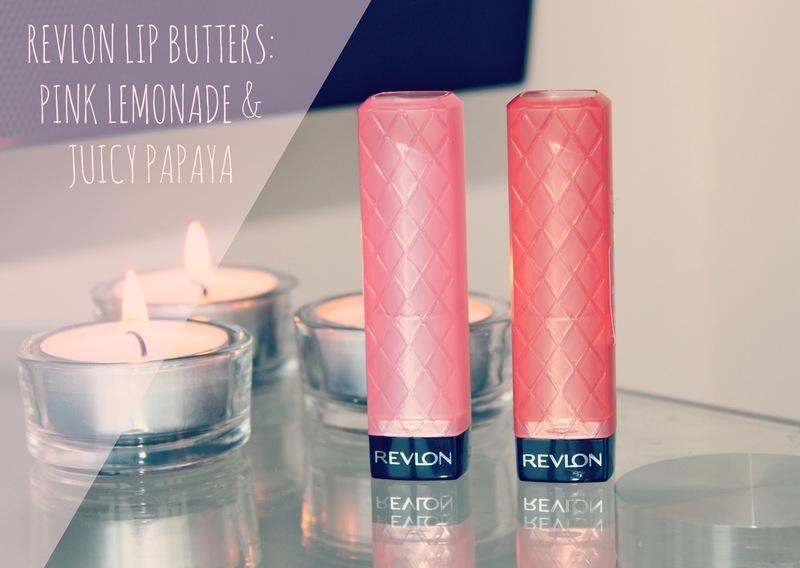 Anyway, if you didn't already know, the lovely people at Revlon have decided to launch some limited edition lip butters for Spring/Summer and being the beauty blogger that I am, I clearly had to have some. 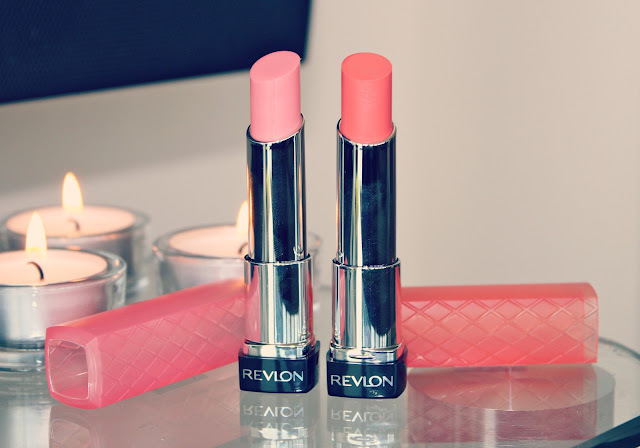 I'm a huge fan of Revlon lip butters and when they were released last year, like most of us, I couldn't get enough of them. Lollipop has to be my favourite to date and is now 100% up there with my all time favourite lip products - big brownie points for you Revlon! The four new shades that've been added to the line for S/S are very appropriately named Wild Watermelon, Juicy Papaya, Sorbet and Pink Lemonade. How lovely and summery? I originally wanted to get them all (I don't do things by halves you know) but the Boots website had already sold out of a couple of the shades. However, when I spotted a couple of them were still available and they had a buy one get one half price on Revlon products, I snapped them up there and then. I managed to get hold of 'Pink Lemonade' and 'Juicy Papaya', both of which are perfect shades for Spring/Summer. 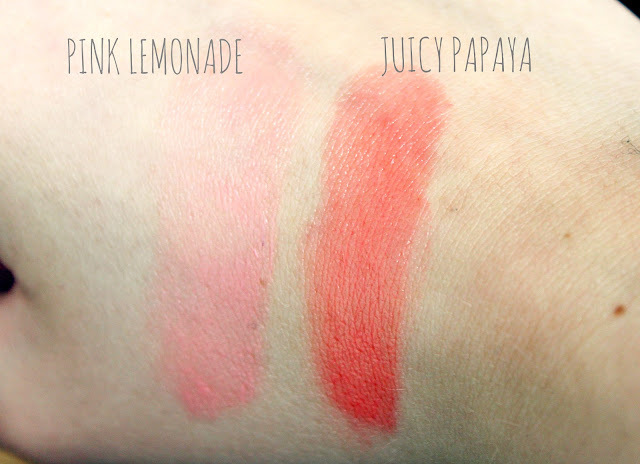 Pink Lemonade is a pale baby pink and perfect for an every day lip. As you can see in my swatch above its relatively sheer compared to the other lip butters but this doesn't faze me too much as I like the fact I'll be able to slick this on during the day at work and not have to worry about my face being covered in lipstick 8). Juicy Papaya is slightly more pigmented and the perfect summer shade, a peachy coral that will look perfect with tanned skin in the warmer months. 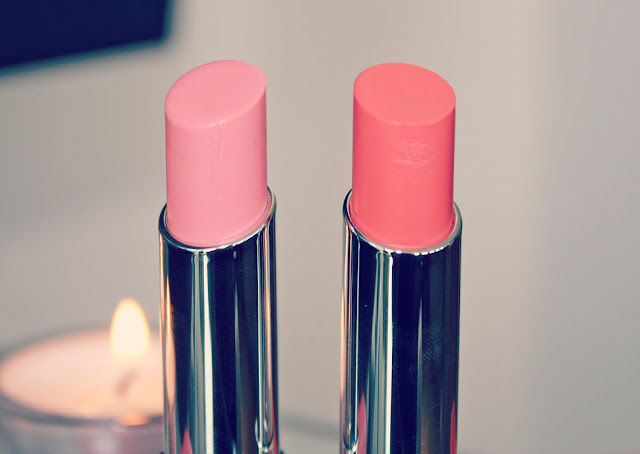 If you own the lip butter 'Tutti Frutti', I'd class this as its baby sister, a slightly paler and sheerer peach. As with all of the lip butters, both of these shades are highly moisturising and glossy when applied to the lips which is the main reason I love them so much. I find them so easy to wear and perfect for both day and night time use. Who doesn't love a good versatile lip product? I love the quilted packaging too (its very Chanel) and the fact the colour of each lip butter is represented by the colour of the tube. 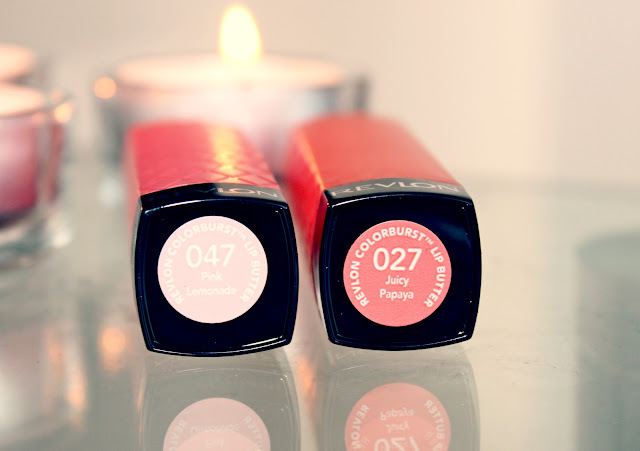 Its very handy when we're rummaging around our lip collection trying to find the right shade, wouldn't you agree ladies? Overall I'm loving these lighter and sheerer shades for the Spring/Summer and I can see myself getting a lot of wear out of them over the next few months. I now need to get my hands on Sorbet and Wild Watermelon! What do you think of the new lip butter shades? Will you be picking some up? They're available to buy from the Boots website for £7.99 and they still have a buy one get one half price offer available on Revlon products. I think juicy papaya is my favorite! It looks like a super pretty coral colour and corals are my favorite haha! It's hard to get your hands on a Revlon product in my country though, but I'm going to do a big search because they sell Revlon in a few cities! Juicy papaya looks absolutely gorgeous! Yes lovely, they're very moisturising :) x x x.
I am dying to get some of these. Both of these colours are gorgeous, I also really want to try strawberry shortcake and peach parfait. 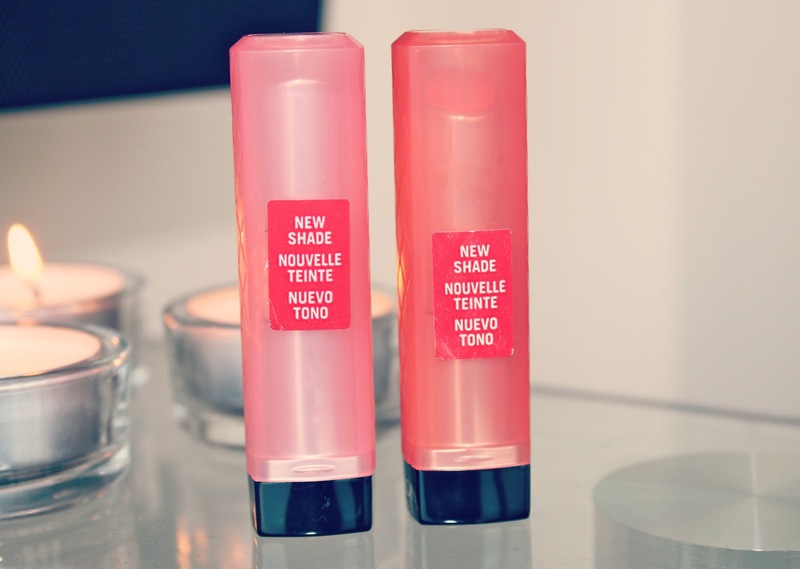 Ahh this is exciting, I love the lip butters and these new shades look lovely. Can't wait to check them out! They look lovely! - do you edit your pictures on Photoshop? the names of these make me want to buy them even more! haha they sound so appealing. plus, they look gorgeous! Both of these colours are gorgeous! I ned to get them! In love with these shades will be picking my self up some of these. Awwwww time with nanna is the best. Oh love pink lemonade. Such a pretty shade. I love the look of Pink Lemonade. Not that I need to purchase anymore lip products! I've heard so much about these products and I really want to try one! Their names sound so yummy though, I think I'd want to eat them haha! i have a ton of these things and love them! now thinking i'm going to have to purchase pink lemonade for myself! Ohh, they look so lovely! I hope these will be sold in my country. We just got the regular ones about a month ago! I love these, such a good colour pay off too! Ooooh these both look gorgeous!! I have Creamsicle and Sweet Tart and I love them both so much!! Pink lemonade looks so pretty and perfect for spring and summer! 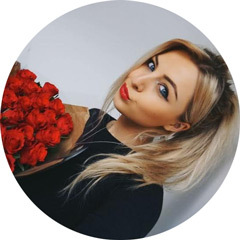 Your blog layout is so cute!! I'm dying to try pink lemonade :) Great Post!